Is your child suffering from frequent ear infections? Have you tried all kinds of treatment and preventive methods but have not been successful in protecting your child? Are you looking for a holistic option instead of having tubes placed in the ears? Osteopathic Manipulative Treatment (OMT), an all-natural alternative, may be the answer for you. 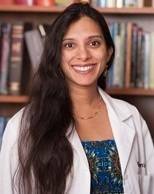 Payel Banik DO here, guest on the whole mother radio show, and one of 20 physicians in the state of Texas that specializes in this type of manual medicine, as I have two different board certifications to practice this type of care. Osteopathic treatment may be a good adjuvant therapy for recurrent acute otitis media, and may decrease the need for surgery and overuse of antibiotics. 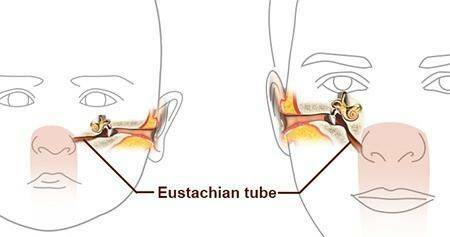 Essentially the ear tubes in a child are horizontal and flat. As we become adults the tubes slowly start to increase to a “ski sloped” angle. If you can imagine the water in the flat tube combined with humidity makes it a perfect breeding ground for bacteria to grow. My focus is to help gently manipulate the bones, muscles and nerves around and connected to the ear, nose, and throat. Imagine there’s a house with a leaky pipe. You know it’s important to fix blocked and clogged pipes, because they can cause big problems with plumbing down the road. Think of the work I do as the plumber that can help proactively keep your pipes running as smoothly as possible freeing up blockages. This plumbing in the human body is known as the lymphatic system, and helping remove the blockages can naturally drain the fluid out of the body and has been shown to prevent surgery. Acute: When the duration lasts from 0 to 3 weeks. Sub-acute: When the duration is for 3 to 12 weeks. Chronic: When the duration is greater than 12 weeks. The cause of otitis media can be viral or bacterial infections. Otitis media is diagnosed based on medical history and a careful examination of the ear. Osteopathic manipulative treatment (OMT) can be employed along with the usual medical treatment methods to accelerate recovery. OMT may also be helpful in avoiding and decreasing the need for surgery. One benefit is that OMT enhances the body’s ability to drain the middle ear. Conservative treatment measures include treating contributing factors such as upper respiratory tract infections and nasal allergies. Depending on age and severity, observation and symptom management is encouraged to avoid building antibiotic resistance. When appropriate, oral antibiotics are prescribed. Keep the ear dry with ear plugs while bathing and avoid swimming. Homeopathic remedies can be administered in some cases of otitis media.